This blog post was written by Jose Figueroa. When we connect with others, we have the opportunity to make a positive impact. This is especially true for students pursuing higher education. I recently attended Bid Day at Kansas State University (KSU). 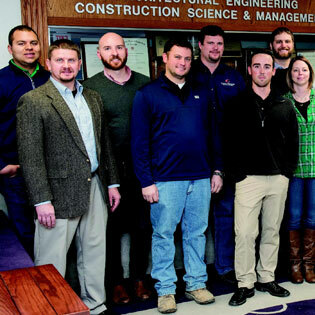 Bid Day is an event hosted by KSU for students in the Construction Management Estimating class. The event allows students to participate in a mock bid. Construction professionals are encouraged to attend and assist with the mock bid in an effort to provide students with an authentic and educational experience. As an Interstates Project Coordinator, I attended the event and played the role of a subcontractor. A total of 28 students and 16 construction professionals were in attendance. Bid Day was a great experience and I enjoyed connecting with students interested in the construction field. As a professional in the construction industry, I was able to answer their questions and provide feedback. It was empowering to know that I could make a positive impact on these students. In addition to working with students, I was able to network with contractors and other industry professionals. I enjoyed participating in Bid Day and encourage other professionals to get involved in similar events. Not only will you benefit personally, but you will have the opportunity to help others as well. I think it’s important to connect with young people who are pursuing education in our fields. As industry professionals, we can provide students with encouragement and guidance. Connecting with students in our field is also a great way to support schools that provide education in the construction and electrical fields.